When stumped for an answer to a question, I sometimes jokingly lament that there’s no pocket-sized device that can immediately access all of the world’s information – but, oh yes, here’s my smartphone! It truly is wonderful to be able to connect instantaneously with so much information and with so many people. In the past, most of our social contacts were friends, family, coworkers, teammates, and other members of our communities Now, the global nature of the internet means that strangers can become friends “virtually” even if they never meet, see one another’s face, or even know their real names. As many of us have discovered at conventions, this isn’t necessarily a bad thing. I’ve made many friends via Twitter, and I can honestly say that my favorite part of Star Wars Celebration Anaheim was getting the chance to finally meet and spend time with them in person. I’m glad that everyone that I have befriended online was as warm and personable in the flesh as they portray themselves on the popular social media site. However, there is a dark side to this as well. Due to the relative anonymity of the internet, many people are downright nasty to one another – even to the point of abusive language and criminal threats. Just because it’s not always quite that bad doesn’t mean that all is well, though. In my opinion, the far more common issue of concern is sarcastic, rude, and disrespectful speech. As a disclaimer, I can be a very sarcastic-thinking person myself. I’m actually quite good at it, and in the past I used sarcasm as tool. If I wanted to look clever, or get a laugh, I could usually find a quick barb to throw at someone else. Of course, not only did the target suffer, but I did, too – it was a cheap form of humor that reflected poorly upon my character. I knew that I needed to better myself by letting go of my villainous ways. My mother used to say that it’s not what you say, but how you say it. I say that it’s both. In the past few years, since my decision to walk the Jedi path, I’ve been very careful about my choice of words, though I admit freely that it is still very much a work in progress. While there are many instances of our fictional Jedi quipping to one another in desperate situations (as noted at the top of the page), Jedi were also trained to be negotiators, diplomats, counselors, and healers. None of these roles called for sarcasm or hateful speech. One of my favorite sayings in my Marine Corps civil affairs unit is that the first rule of civil affairs is… to be civil. We deal with other nations’ civilian populations, and very little can come from alienating other people. The same is true everywhere you go. Obi-Wan Kenobi certainly knew this, as he remained generally polite even when facing conflict. * Dale Carnegie’s How to Win Friends and Influence People is a fantastic book on this subject that is as spot-on now as it was when first published in 1936. So how does this pertain to users of the internet in our profane world (pun intended)? Surely there will be disagreements, but it’s preferable to disagree without being disagreeable. In the past year, StarWars.com has made many announcements concerning canon, the new upcoming movies, Star Wars Rebels, new books and comics, etc. All of these have sparked abundant discussion online. While most of the people I follow on Twitter are generally positive people, there’s a fair bit of disagreement that happens. Most of it is nice; some not so much. There are situations when the desire to win, to be “right,” or to be funny can be overpowering. When this happens, in the grand scheme of things, winning an argument over the internet with a stranger is at best a hollow victory. If the disagreement is with a friend – well, that’s even worse indeed, because the relationship can obviously suffer if the participants are caustic in their speech (or intent). Contrary to what kindergarten teachers may say, we do not HAVE to listen to or respect others’ opinions. One of the best parts of being thinking individuals is the ability to walk away from many situations we don’t like. Others’ right to free speech doesn’t imply our obligation to listen. However, I believe that if we DO choose to participate, then we can be part of the solution rather than part of the problem. We can listen actively, rather than waiting for our turn to talk. Our word choice can soothe rather than incite (and if in person, our body language and tone count, too!). We can avoid snarky comebacks, or make the decision not to participate at all. Far too often, people chime in on a conversation that they weren’t involved with from the start, with nothing truly helpful to add. Additional viewpoints are great, but not if presented rudely. We can, again, disagree without being disagreeable. I find that I usually learn something new in the process, too. The certain point of view from which I view the world is not the same as others’, so listening to different (or opposing) opinions only serves to educate me further and allows me to take more steps into a larger world. 1) The next time the opportunity to type a zinger presents itself, consider saving the post/comment/tweet as a draft. If it’s worthwhile, it will probably be fine to wait and press “send” later. At the very least, pretend that the recipient was standing right in front of you when you said it. Would you still do it? 2) Reach out with a positive message to someone you know online, or respond supportively to someone’s post/tweet. It’s harder than just pressing “like” or “favorite,” but it means so much more. Many times, the more personal a person’s post is – and possibly less in line with your own interests – the more important it is to them. For example, quitting smoking, passing a test, setting a new personal record in the weight room, or finishing a degree are so very important to that person, and they could really use your support! Great points, you make, Dave! Ahhhh…Celebration Anaheim was SO great, wasn’t it?! I totally agree with a lot of what you’ve said, here. I remember when the Internet was first starting to blossom, and I had to go through a teacher in-service about “cyber etiquette”. It included things like e-mail and online correspondence with parents. As cyberspace progressed, educators are pressed more and more to be very careful of their online persona, especially in social networking arenas. For me, I think it was being a teacher that has helped me “filter” what I say and post — and how I say it — online. I really think you nailed it in assignment #1 above — too many people react to posts in haste, and once you hit “send”, you can’t always take it back. I often shake my head at what people say and post. It sometimes makes me question humanity in general. On the other hand, there are times when social media actually restores my faith in humanity. As you said, there are a LOT of genuine, positive people out there, just trying to make their way in the universe!! I agree – when people know each other, and the situation allows it, sarcasm and jocularity (read that as Radar imitating Father Mulcahy) are great. Other times, not so much. I have a friend who’s concerned about something that’s going on in her life. Ordinarily we’re very quick to joke with each other, but I hold my tongue in this situation. Thanks for commenting, I dig the Jango quote, and MTFBWY! Sarcasm? At its basest, I don’t like it. I don’t like barbs — especially nasty ones — masked in humor. However, there are moments when light-hearted sarcasm (if you want to call it that) is meant to be just that — light-hearted. No malice intended. Online, the way (at least) some of us might make that point is to add a 😉 face after a comment. I know someone who is VERY GOOD at little, light-hearted nudges (some of which are aimed at me … well, certain aspects of my make-up 😉 ), and I know they’re made in good humor. They do not bother me. Then again, I get to hear the inflection in her tone of voice, and I know they are not meant to criticize. Then again, I know someone whose sarcastic barbs are not appreciated (by me or by others). That person’s sarcasm has a much more “dark” vibe to them, and has gotten the person in question into a lot of trouble time and time again. Thus, it really does depend on the intent, and even the person casting the sarcasm. One other point, if you don’t mind my making it, has to do with respecting others’ points of view. I agree with you — one does not have to stand (or sit) and listen to what another has to say. Turning and walking away, or scrolling past the (perceived) offensive remarks is a viable way in which to deal with *whatever*. I may not respect what another person has to say, but what I respect is that person’s right to say it. Some might consider that splitting hairs, but like you pointed out so succinctly, it’s all about words and how we use them. I am a Marine Corps veteran, and while I served, I was prepared to give my life for EVERY single American to have his/her right to (among others) freedom of speech. What I take issue with these days is that some are hell-bent on keeping EVERYONE from being able to speak their minds just because they (the nay-sayers) don’t like what is being said. Some mask this as being “politically correct”, but what they’re really saying is “(you) don’t have the right to speak your mind because you don’t think like me.” 🙁 There was a reason FREEDOM OF SPEECH was included in the Bill of Rights, and why it was so important to this country’s Founding Fathers 200+ years ago. What people truly need to exercise is thinking before speaking — or, as you suggested, keep what one writes as a draft, giving one the opportunity to clear one’s head before posting something untoward online. I hope I never have offended anyone. Words are my business, and I try to keep that foremost in my mind whenever I write anything. Writing something makes it PERMANENT. People forget that. And for the record, sometimes making a little joke, like Obi-Wan did regarding Anakin and his disregard for practicing his lightsaber techniques, is a good way to get a point across to someone. Unknown to us, Obi-Wan may have used the direct approach with Anakin time and time again — “Anakin, you are skilled with a lighsaber, but just think what you could accomplish if you practiced more. You could be as good as Yoda!” — only to have those urgings fall on deaf ears. Sometimes, one feels the need to approach a situation from a different point of view. Say you’re a teacher (as Jay is 🙂 ) with a classroom of 30 students. Those students come from all different backgrounds, and approach learning differently from their peers. The teacher who teaches the same way to every student in that classroom is going to fail because s/he is not going to reach every single student with the same approach to teaching. Yes, a teacher can count on using the same approach to reach MOST of the students, but students are not “cookie cutters” of each other. 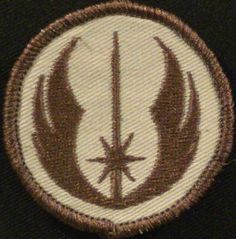 I am indeed a parent of one rambunctious little male Padawan (https://www.coffeewithkenobi.com/jedi-parenting-raising-mindful-padawans-and-younglings/). Just one, though, so my experience is less than yours. I’m trying hard to choose to frame my words in a positive fashion rather than negative. “I like it when you help get yourself dressed in the morning” is much more likely to get the desired results than “we’re always late because you just can’t get dressed quickly enough,” or words to that effect. I agree completely with your Voltaire idea – that everyone has the right to speak their mind… to a certain degree. Freedom of speech, as defined by the Constitution that you and I are both fans of, has to do with the government, not other entities. So, if someone chooses to not allow comments on their internet posts, or chooses to delete them, that’s their right. Of course, sticking my fingers in my ears and ignoring people won’t help me learn about others’ points of view. Some are just vile, hateful, or otherwise unhelpful. I teach about 60-80 new students every week – Marines (plus a few Sailors, spouses, and other services’ folks) transitioning from active duty to civilian life. You can imagine how often I need to change my tone and word choice to find the right “me” to reach my clients. I NEED to be snarky for some of them to gain their acceptance, while others get enough of that in their units and need me to be a nice, caring civilian! I’m quick to check their use of words that just won’t cut it in the civilian world, though. Just today I told a senior SNCO that using “retard” could likely cost him a job offering or get him a trip to HR at a civilian job. You surely know the other words they might use (and I’m not talking cursing) that can be common, and I don’t mind trying to break them of those habits. Such simple words yet they’re so difficult to follow. Why is it just so difficult for people to be civil to each other? Yet I completely agree with Melinda. Things have gotten so touchy anymore that one can’t express ANY differing opinion, even civilly, without being accused of hate. Differing opinions, respectfully given, make the world a richer place. I LIKE hearing the thoughts of people who think differently from me. It helps me define my own thoughts and feelings. I hope people follow your advice, MJ. Thinking before speaking is just common sense. I totally agree. That’s why I continue to follow a few people on Twitter even though I disagree with a lot of their points. Why? Because if I only follow people who agree with me (and I don’t watch much news), I’d run the risk of believing that EVERYONE thinks like I do – and that wouldn’t be good, nor fun at all! Sorry to take so long to respond. Thanks for reading, Pam! Oh, and yeah. I loved meeting some of those crazy characters at Celebration. The people I’ve met through the beauty of the internet have enriched and even defined some aspects of my life, and I’m so much happier for it.